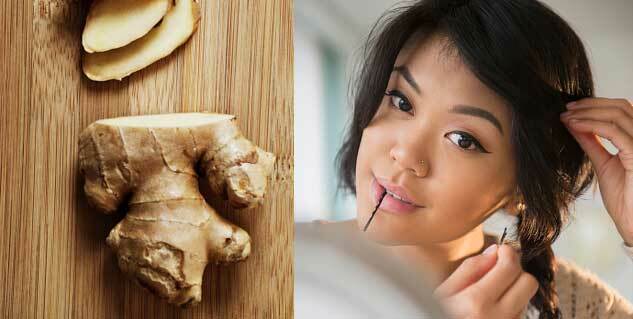 Fresh ginger roots help in making hair stronger, healthier and shinier. Ginger tends to help in getting rid of dandruff. It also has some very useful constituents which help to fight dry hair. Ginger is rich in fatty acids that prevent thinning of hair. Ginger is one of nature’s true wonders. It isn’t just a delectable spice with a long list of health benefits for nausea and heart problems, but it also bestows a wide range of benefits for hair. With an abundance of magnesium, phosphorus, potassium and vitamin, ginger roots make your hair stronger, healthier and shinier. So, how does ginger help your hair? Those nasty and persistent flakes cause immense frustration; first, because it makes your scalp itchy and flaky, and second, because it refuses to go even after using n-number of anti-dandruff products. 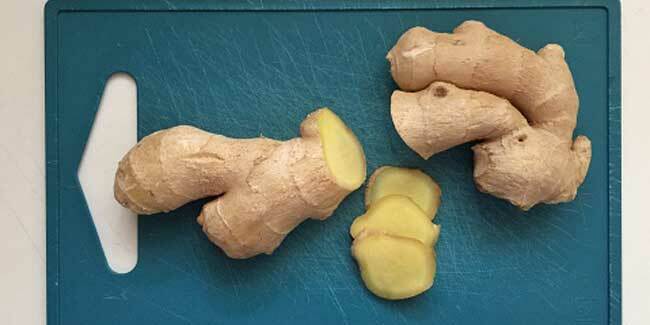 Scratch your head no more because ginger can be the answer to your problems. It has antiseptic properties to fight dandruff. Make your own anti-dandruff remedy by mixing 2 tablespoonfuls of freshly grated ginger and 3 tablespoonfuls of sesame or olive oil and a dash of lemon juice. Massage this mix into your scalp and leave it on for 15-30 minutes. Rinse it off with cold water. Use this remedy at least three times a week and you will start noticing great results soon. How we wish hair loss didn’t exist in this world! Well, there might be some hope. If you have been experiencing hair loss and an altered self-image because of an embarrassing hairless look, it is time you use ginger. It can naturally stimulate blood flow to the scalp and hair follicles, resulting in restored hair growth. Mix 1 tablespoonful of grated ginger with 1 tablespoonful of jojoba or olive oil. Apply this to your hair roots, massage for a few minutes and leave it on for half an hour. The warm sensation on your scalp indicates that the remedy is working. Shampoo as usual. It is better to use fresh ginger roots to prepare these remedies instead of ginger powder (which is more convenient to use). This is just because fresh ginger roots are full of essential nutrients and other elements that are required for nutrition of hair follicles.